Back in 2010, I shared a remarkable graph comparing the predictions of economists to what actually happened. Not surprisingly, the two lines don’t exactly overlap, which explains the old joke that economists have correctly predicted nine of the last five recessions. It’s not that economists are totally useless. It’s just that they don’t do a very good job when they venture into the filed of macroeconomics, as Russ Roberts succinctly explained. And they look especially foolish when they try to engage in forecasting. But at least economists sometimes can be entertaining, though usually in the laughing-at-you rather than laughing-with-you way. Consider, for instance, the escapades of one of Portugal’s leading economic analysts. Here’s some of what the UK-based Guardian recently reported. As an ex-presidential consultant, a former adviser to the World Bank, a financial researcher for the United Nations and a professor in the US, Artur Baptista da Silva’s outspoken attacks on Portugal’s austerity cuts made the bespectacled 61-year-old one of the country’s leading media pundits last year. …Mr Baptista da Silva…claimed to be a social economics professor at Milton College – a private university in Wisconsin, US…and to be masterminding a UN research project into the effects of the recession on southern European countries. 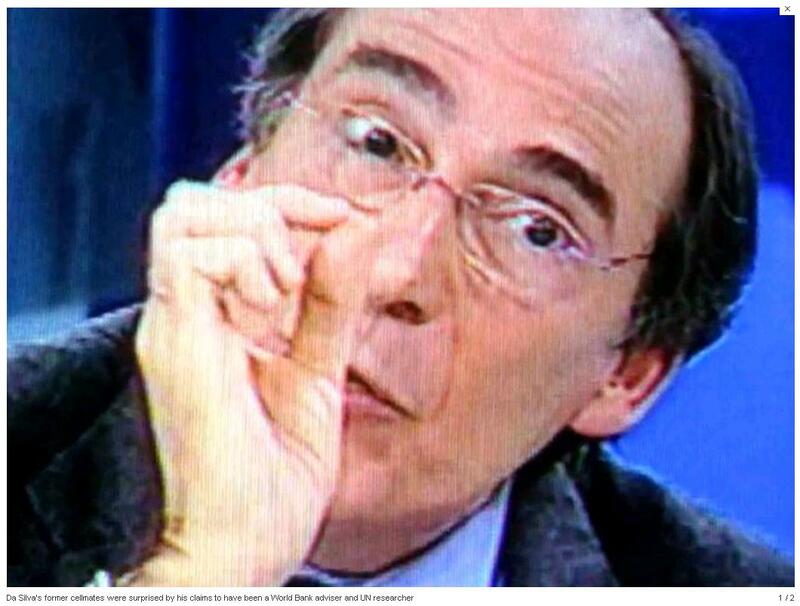 Mr. da Silva was sort of the Paul Krugman of Portugal, working with the left and urging Keynesian policy. Blessed with such an impressive CV, Mr Baptista’s subsequent criticisms of the Lisbon government’s far-reaching austerity cuts, as well as dire warnings that the UN planned to take action against it, struck a deep chord with its financially beleaguered population. According to the Spanish newspaper El País, his powerfully delivered comments at a debate at the International Club, a prestigious Lisbon cultural and social organisation last month, were greeted with thunderous applause and a part-standing ovation. Then, in a double page interview in the weekly newspaper Expresso in mid-December, Mr Baptista da Silva continued to denounce the government’s policies. That was followed by an interview for the radio station TSF, appearances in high-profile television debates and well-publicised meetings with trade union leaders to advise them on economic policies. But it turns out that there was a tiny problem with Mr. da Silva’s resume. At least if “tiny” is the right way to describe a total fraud. The only problem was that Mr Baptista da Silva is none of the above. He turned out to be a convicted forger with fake credentials and, following his spectacular hoodwinking of Portuguese society, he could soon face fraud charges. …in the country’s jails, Mr Baptista da Silva’s sudden appearance among the intellectual elite caused amazement among his former cellmates. …Mr Baptista da Silva’s comeuppance began when the UN confirmed to a Portuguese TV station last month that he did not work for the organisation, not even as a volunteer, as he later alleged. Further media investigations uncovered his prison record and fake university titles… Mr Baptista da Silva has now disappeared completely from public life, and there are reports he is under investigation for fraud charges by the police. I guess if he was intentionally misrepresenting himself, that perhaps da Silva should go back to jail. Though a lot of real economists and almost all politicians should be in prison as well if that’s the standard. Let me close by making a serious point. Economists do not hold some magic source of knowledge about public policy. So I’ve never objected when journalists, political scientists, laymen, and others engage in debates about economic policy. The key to good economic analysis, as Bastiat explained in the 1800s, is looking at the seen and the unseen. And you don’t have to be an economist to recognize that the secondary and tertiary effects of public policy are very important. Indeed, if Paul Krugman’s any indication, maybe it’s better not to be an economist.